Bed bugs have a high reproductive rate, can survive for long periods of time without food and can hide in small, hard to find places. 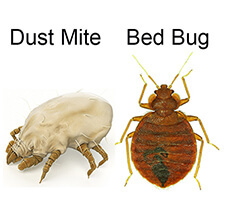 These attributes can make bed bug control a difficult task if not approached in the correct manner. Pest companies traditional attack is to use poisonous chemicals that can be harmful to you, your family and guests. These methods are outdated. Bed Bug Barrier offer Australia’s only non toxic and long term bed bug control system. Providing a safe and reliable solution to your bed bug problems. Bed Bug Barrier provide bed bug control methods to prevent, restrict and exterminate. At Bed Bug Barrier you can purchase our Luggage Encasements to effectively encase your bags, clothing and belongings whilst travelling. Preventing bed bugs from hitching a ride inside your luggage and into your home or hotel. Bed Bug Barrier also provide barrier solutions to restrict the spread of bed bugs within your home or between neighbouring dwellings. Stop movement of bed bugs between rooms using our eco-friendly transparent Bed Bug Barrier Tape. Block bed bugs from crawling into your bed using our Floor Bed Bug Barrier and Screw in Bed Bug Barrier. Finally, and the most critical part of a successful bed bug control system is an effective, safe and long term bed bug killing treatment. Don’t waste thousands of dollars on pest controllers that can use harmful chemicals that don’t provide long term solutions. Bed Bug Killer Powder is the natural, non toxic treatment that provides years of ongoing protection. For instant killing of bed bugs and their eggs, look no further than the Bed Bug Steamer. With the domestic Bed Bug Steamer you will see instant results using no toxic chemicals, providing a treatment solution at a fraction of the cost of commercial steam cleaning approaches.